There are so many great things to do for this challenge from Paper Artsy - Typography, Fonts and Quotes. I didn't want to go with a mish-mash of fonts that could just end up a mess - so this one just evolved. I had a page that had some patterned paper already on it so took the lead from the colours that were in it - turquoise and magenta - and went with that. 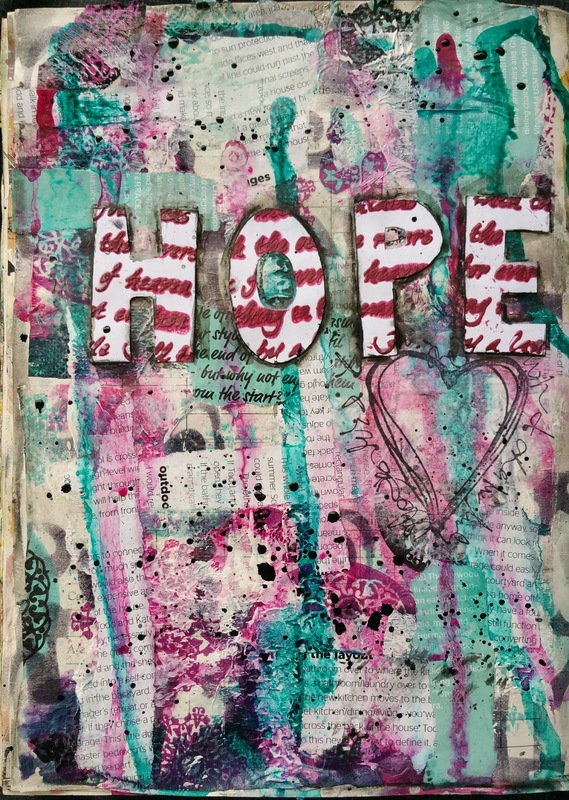 I added a layer of text through a stencil using archival ink and then added text from a magazine. I then dripped Liquidex Ink using the same colours. 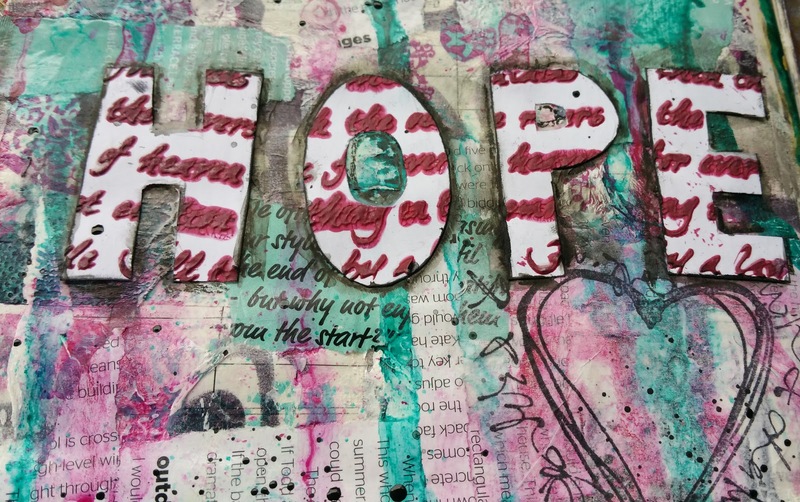 I used a script stencil and coloured texture paste which was them cut into the letters HOPE. The heart is a stamp from Viva Las Vegas stamps, onto tissue and them applied with matte medium. Some black Stabilo around the letter and the edges, a few black splatters and done. The background has turned out quite busy, but I do quite like the textured script letters.